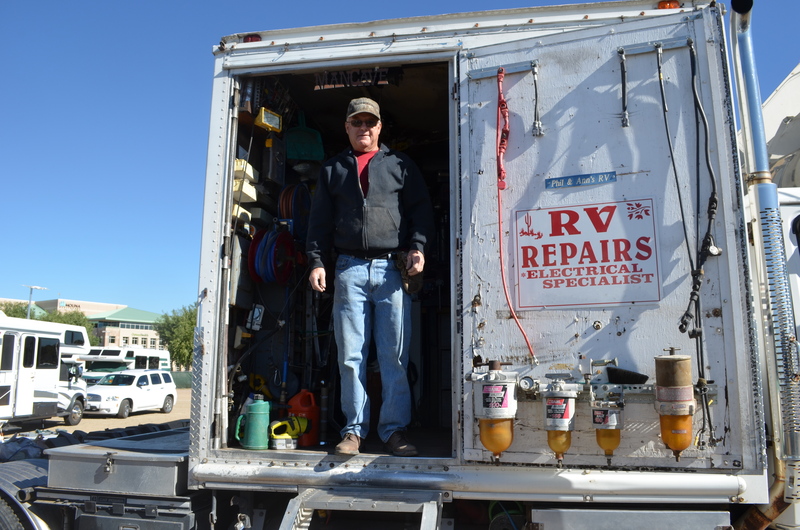 While we were parked at the Balloon Fiesta grounds, many of us took advantage of the great repair service by Phil and Ann’s Mobile Repairs and Parts. Phil has a huge workshop as you can see. He repaired or replaced refrigerators, convertors, water pumps and generators as well as many other items. He attends many of the big rallies such as Escapade, FMCA in Indio, and can also be found at Quartzsite during the winter months. I would highly recommend him as he is experienced in any type of RV repair. 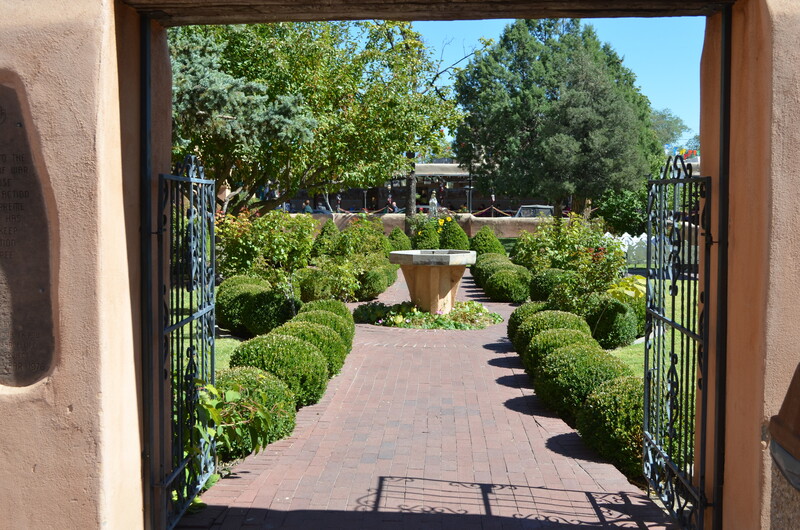 He can be reached at 828-606-9918 or at annphilrv@gmail.com. 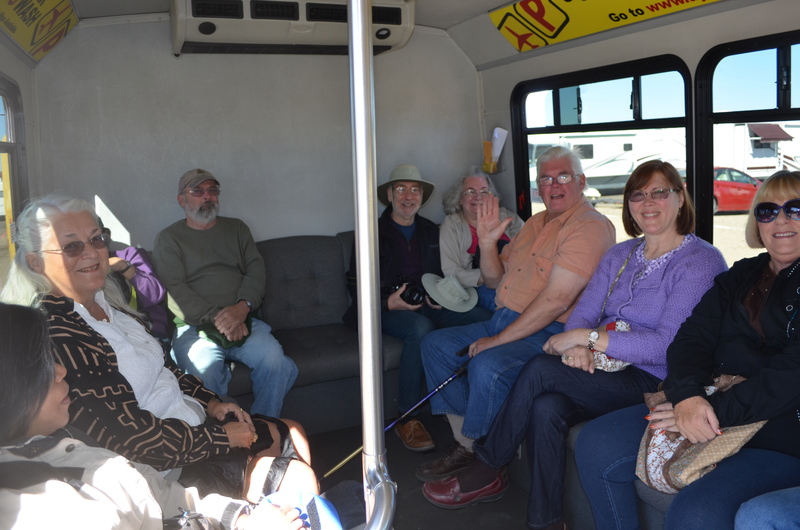 A group of us took the shuttle to Old Town Albuquerque. It only cost $5 and included a ride back to our campground. Here we are in the shuttle. I always enjoy going to Old Town even though they always have the same stuff. It is fun walking around and a good time to do some interesting people watching. 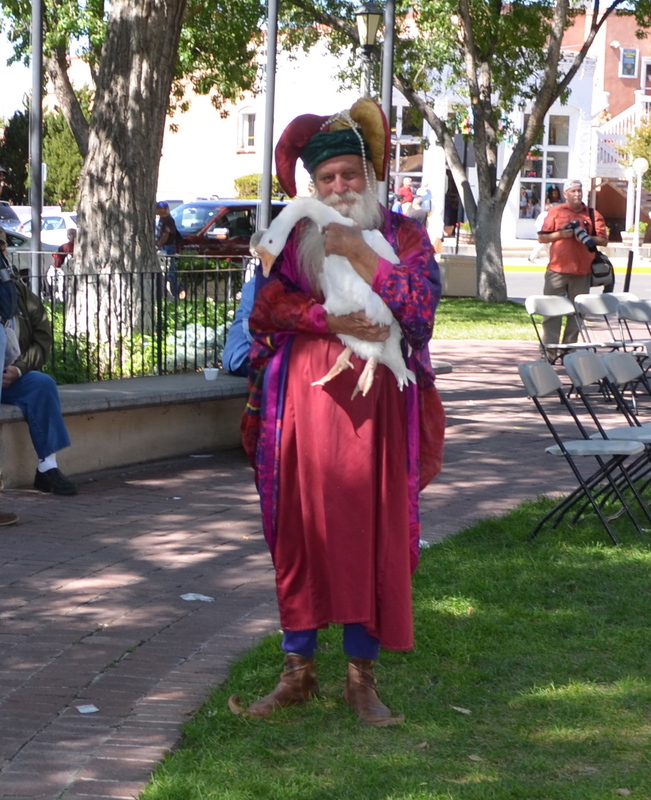 I spotted this guy with his real goose in the park. 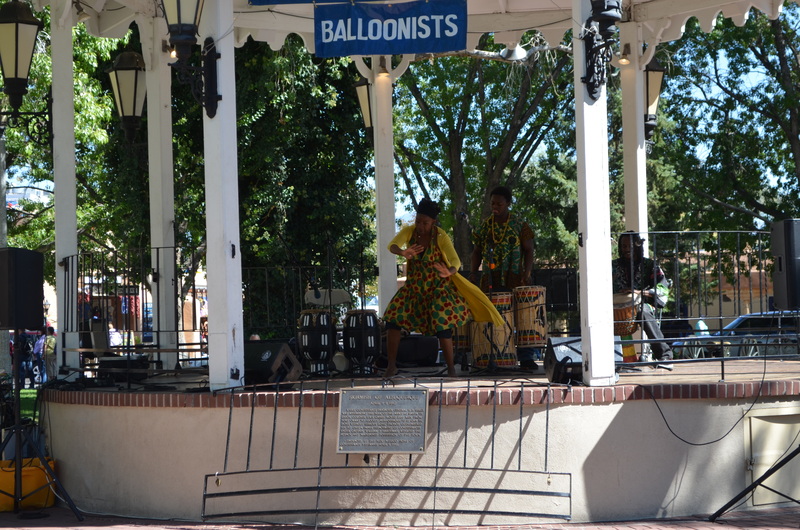 There is a gazebo where you can see many different performers. This group was really high energy. We ate at the Church Street Cafe and had a great lunch. That place has really good Mexican food. Then after lunch we were on our own until either 1:00 or 3:00 where we had to meet the shuttle for our return trip. I took this pic of the church which is right across the street from the park. 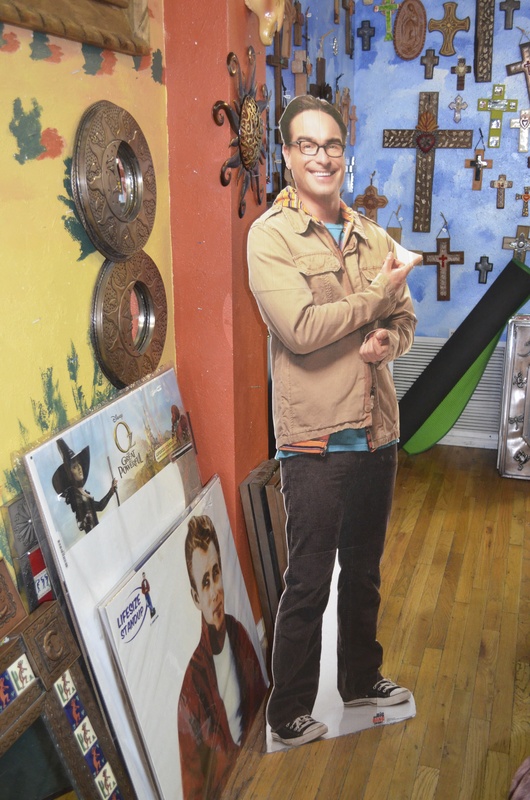 I ran into Leonard of the Big Bang Theory while browsing in one of the shops. HA! 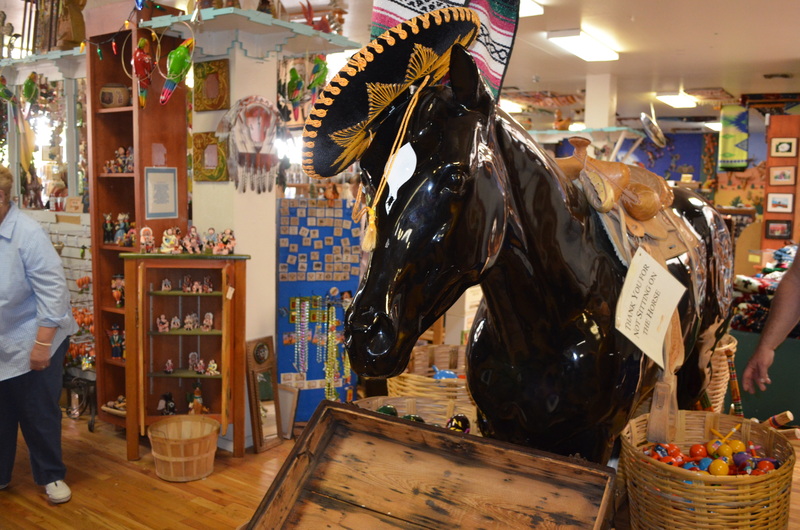 Mr. Edwardo (Mr. Ed’s Mexican cousin) was also in the same shop. Lots of neat stuff for the kids to enjoy. 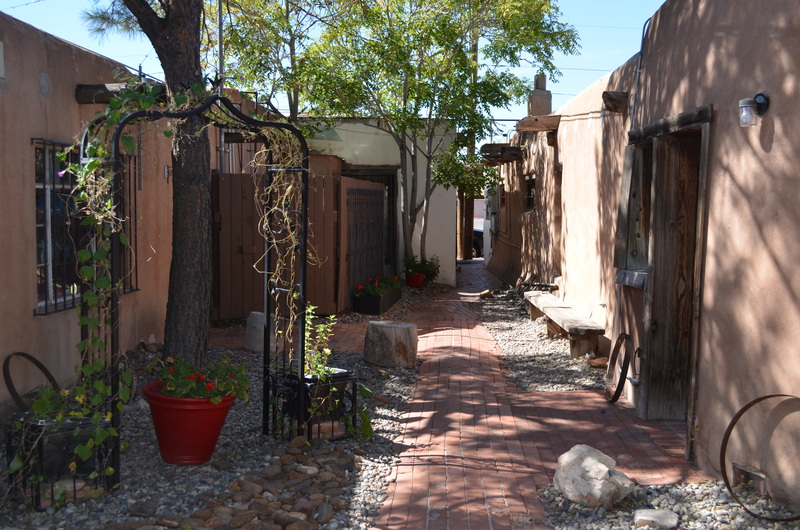 It was fun strolling down some of the back alleys in Old Town. 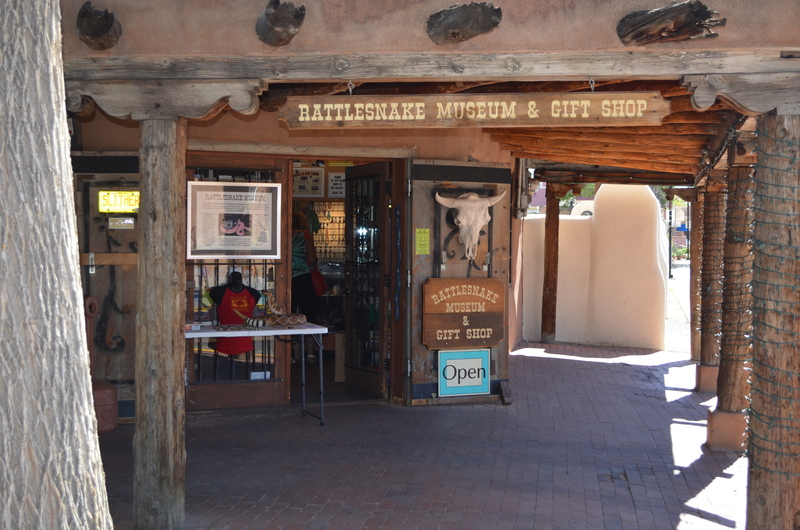 My last stop before heading home was the Rattlesnake Museum. I had avoided this place the two previous times I have attended the Balloon Fiesta, but decided it was time to check it out. I used to be terrified by snakes but they don’t scare me any more. They had lots of rattlesnakes from all over the world. It was very interesting. That is it for today. Tomorrow we head to Sandia Casino for their $5 brunch. 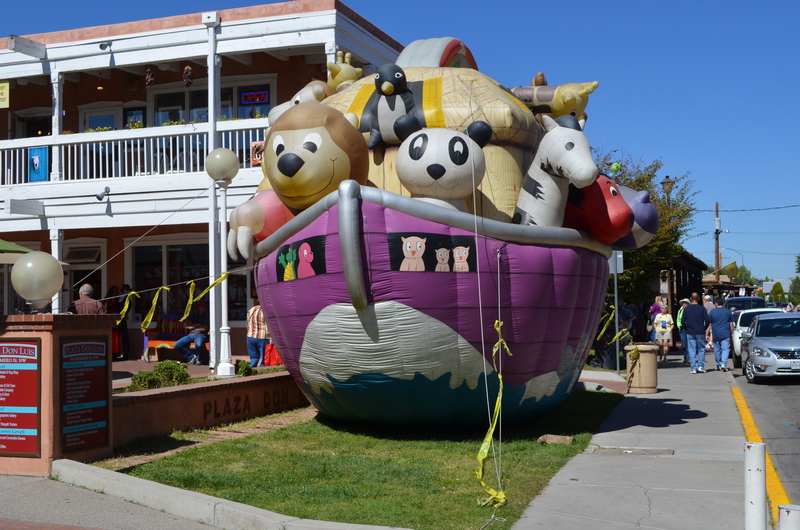 This entry was posted in Albuquerque Balloon Fiesta, Friends, New Mexico, Old Town Albuquerque and tagged Albuquerque Old Town by Jim Melvin. Bookmark the permalink. Hi Jim, I’m still here at Amazon, just finished week three. Today is $day :). I didn’t know if I was going to make it, I was soooo exhausted. I finished this week (wk.3) thinking I could work some overtime. So better. Your balloon pics are beautiful. Jim, could I use your picture of Phil the RV repair guy for my online journal too? It is kristinalaska.com (at the bottom is a list of recent posts). Phil installed a new converter for me at the Balloon Fiesta. Thanks either way. And good luck at your Amazon job! If you are still at Quartzsite the end of January, I might see you there! Yes go ahead and use it. I was glad to help him out. See you in Q.